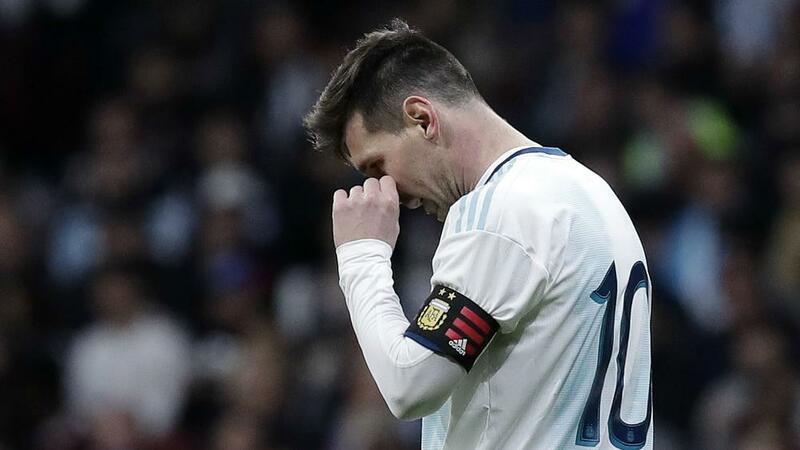 Argentina have lost successive Copa America finals and were beaten by Germany in the final of the 2014 World Cup despite Messi's efforts. "I dearly want to win something with the national side, I wanted to come back and want to participate in all the big games," Messi said. "When I made the decision to return, there were many who criticised the decision. My six-year-old son asked me: 'Dad, why do they crucify you in Argentina?'. "I tell him that it's just a handful of people. I've shown my desire to play for Argentina and don't need to prove this to anyone." "I left the World Cup squad and then didn't speak with anyone at the federation," Messi added. "Later, Scaloni called me and told me to take some time off and that he'd be keen for me to come back as he was preparing a solid project. "A transitional phase is totally normal and it's something that should have happened years ago. The young guys have come through and need to be given time, we can't crucify these guys. "They are a good bunch of guys and are great players. Apart from the Venezuela game they've played well and I've watched them develop with their club sides and I like the way things are going."